It was a beautiful evening. The sun had begun to set, casting a golden light across a local park on the Florida Panhandle. I was showing my visiting parents around one of my favorite eco hotspots, and we walked a boardwalk between marsh grasses and maritime forest. 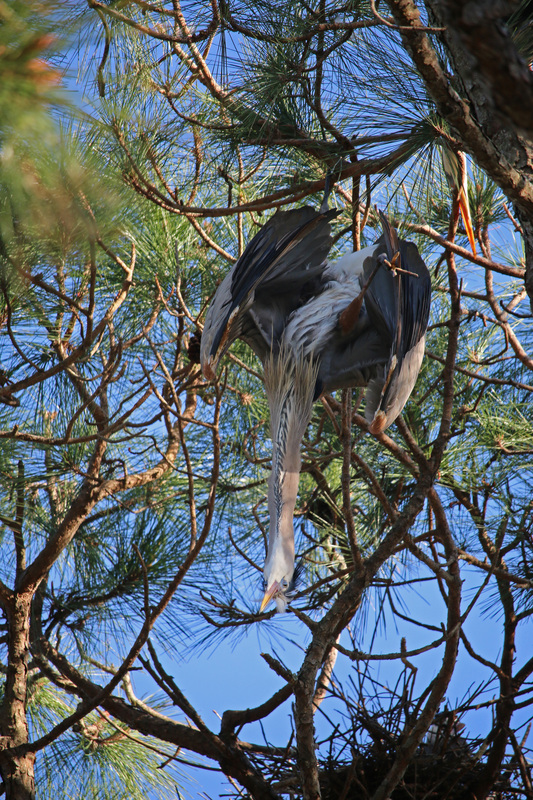 The park we were visiting is known for its bird species, but within minutes of entering the park we spotted the last image any birder wants to see: on the top of a tall pine tree dangled a Great Blue Heron, its foot wrapped in fishing line. Unfortunately, the bird was dead. Nowhere is this more obvious than on the coast of Florida, where the nearly “invisible” fishing line takes the lives of shorebirds, seabirds, and wading birds on a daily basis. Fishing line seems relatively benign at first glance. In harbors, on boats, and along fishing piers anglers must often cut old line to restring new line, change hooks, or accidentally catch their lures against something on the bottom. Hooks and the monofilament line itself become castoffs, both on land and in the water. When wrapped around a leg or wing, the line can catch on tree branches or prevent flight, causing distress at the least and death at the worst. There have been efforts to clean up fishing line. Monofilament receptacles have been added to popular fishing spots, local Audubon chapters have set out to educate locals and visitors on how to remove hooks and lines from birds, and biodegradable fishing line is available on shopping shelves everywhere. It’s good there are steps to help: the day after I found the hanging heron I called a local nonprofit to set up additional fishing line receptacles at a nearby fishing pier. At the same time, I know that even with all these positive steps the heron may still have ended up tangled in line. They are habituated to people in this area, and spend much of their time in the harbors or fishing piers looking for cast off bait or wriggling fish pulled up from the emerald waves. An angler can have all the good intentions in the world when it comes to his or her monofilament, but if an aggressive heron steals a fish and breaks off the line on its own, then there’s really not much they can do. It’s the inevitable causality of wildlife interacting so closely with humans, especially in this highly developed region of Florida. The memory of the heron is a painful one for me. There was probably nothing I could have done to save that heron trapped in fishing line, but like Aldo Leopold I feel the guilt and pain of the literal and metaphorical wound I witnessed. 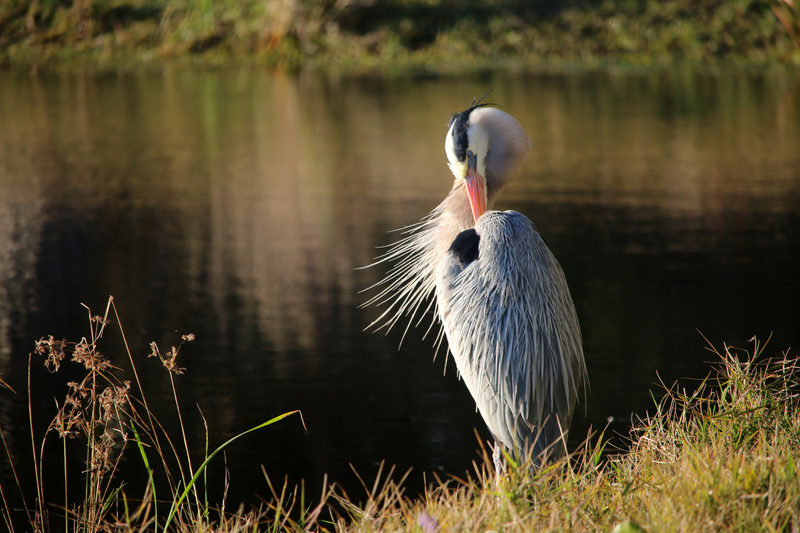 I won’t shrug it off, but strive to keep the image as a reminder of the importance of protecting habitat for herons, birds, and other wildlife, where they can exist far from fishing lures and hooks. I will remember to follow best fishing practices myself, and encourage the same in others. I will support local laws that protect plants and animals. I believe most environmentalists have memories of environmental tragedies, big or small, that keep them from becoming complacent about protecting the natural world. Right now, the heron is mine.